Venkatesh Guru Movie Trailer Released, Look Like Another Classic From Venky. Hyderabad - Venkatesh new telugu movie guru is set to release on 31st march mostly or may be on 7th April. According to movie unit details, Censor will be completing tomorrow. This is remake of saala khadoos and irdhi sutru of tamil which is directed by sudha kongara. She told that first subject went to venkatesh 3 years back where he is suffering from dengue and not been able to do film. Then she made it with madhavan and became big hit. Trailer review - Movie is basing on boxers women life. Director sudha told in trailer release function that he went nearly to 200 boxers and enquired their life and career. 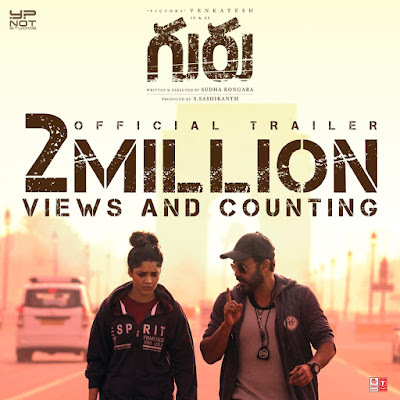 Movie is looking like emotional drama between coach venkatesh and boxer rithika. According to trailer, How an arrogant boxer turns an arrogant village women into top boxer can be a story. Trailer is very stylish and natural. Songs by santosh narayan are very big classic hits and went to top of charts in saavn and other youtube channels. 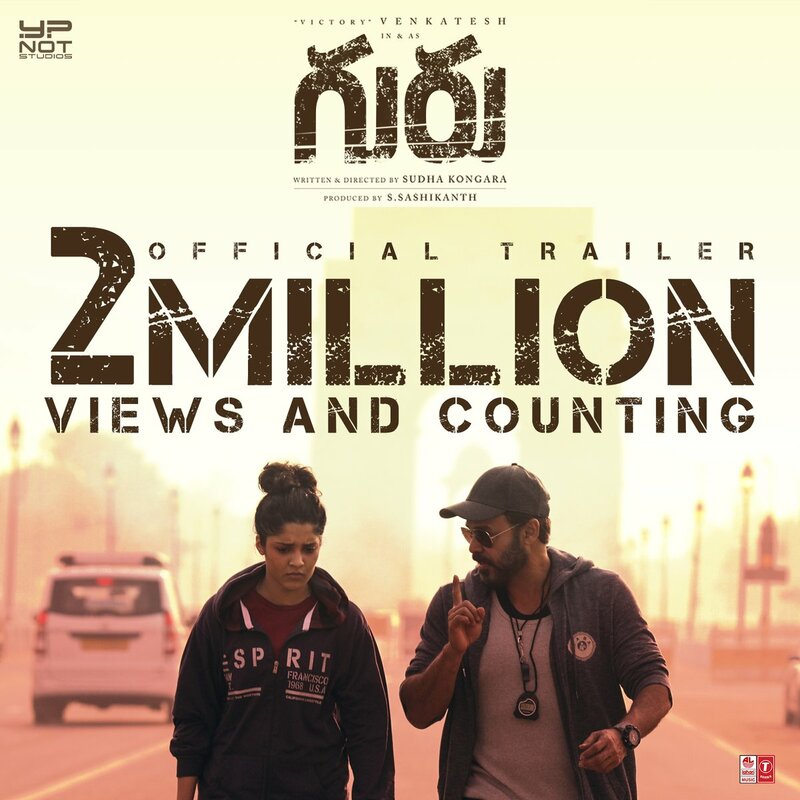 Trailer received 2 million views in 2 days which is record venkatesh career. 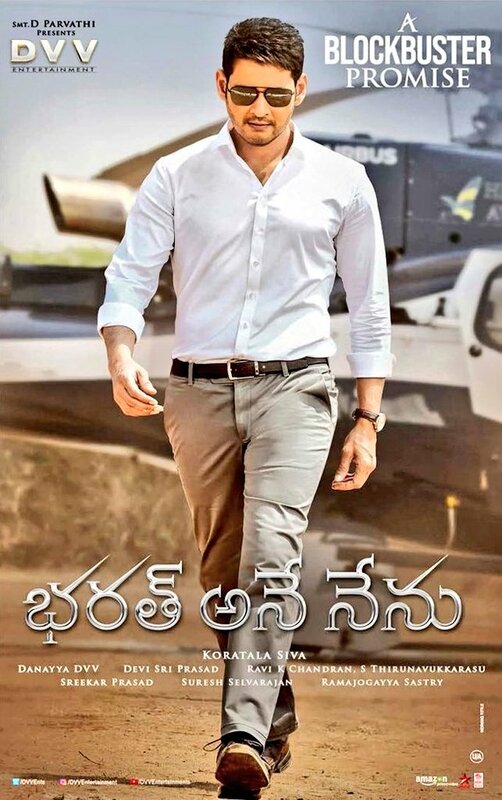 Emotional content in the film may be main highlight and may become blockbuster in critical and box office wise.